Avi Vantage integrates with Amazon Web Services (AWS) to provide DNS services to applications running on instances in AWS. 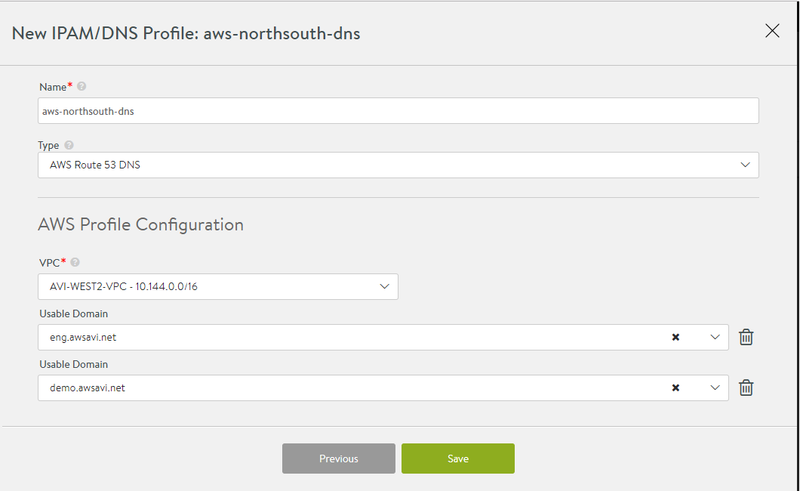 AWS Cloud in Avi supports AWS DNS by enabling route53_integration in the cloud configuration and doesn’t require this DNS profile configuration. A separate DNS provider configuration (as described below) is required only for cases where AWS provides the infrastructure service for other clouds (e.g., Mesos Cluster running on AWS instances). 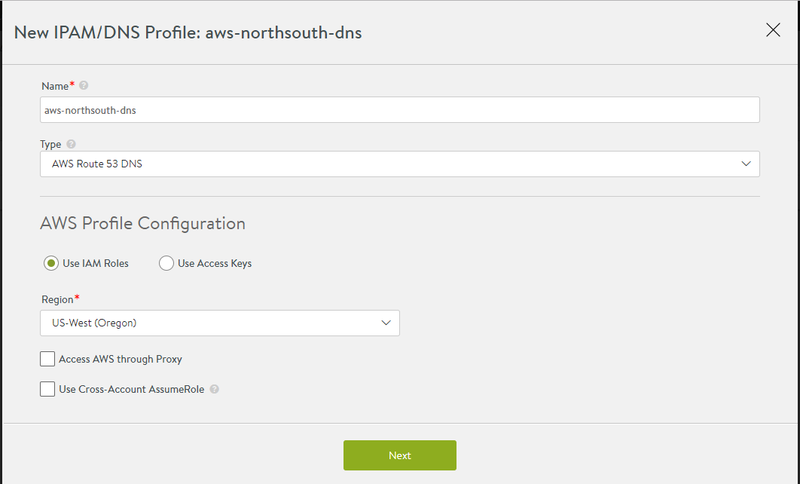 AWS DNS is supported only for North-South DNS Provider. 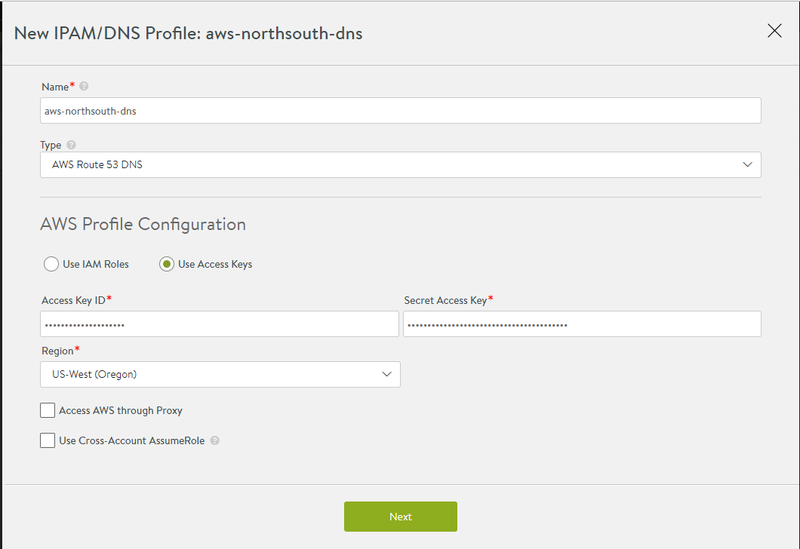 See also: Service Discovery Using IPAM and DNS. Select “AWS Route 53 DNS” as type and “Use IAM Roles”. Select “Access AWS through Proxy” if access to AWS endpoints requires a proxy server. Select “Use Cross-Account AssumeRole” if the AWS credentials or role is being leveraged to access across accounts. Read AWS Cross-Account AssumeRole Support for details. Click Next. A dropdown of available domain names associated with that VPC are displayed. Configure at least one domain for virtual service’s FQDN registration with Route 53.